Does it Ruin a Deep Freezer to Leave It Unplugged for a Long Period of Time? That empty freezer in the garage or basement is costing you money every month it's plugged in. If you never use the deep freezer you might consider selling it or giving it to a charitable agency. If you may use the freezer sometime in the next year, it might be wise to keep it, but unplug it so that it doesn't drain energy from your home and cash from your wallet. Dennis Petersen, of Pete's Service Shop in Tooele, Utah says that leaving a freezer unplugged for a long period of time will not damage it if it stored correctly and precautions are taken. 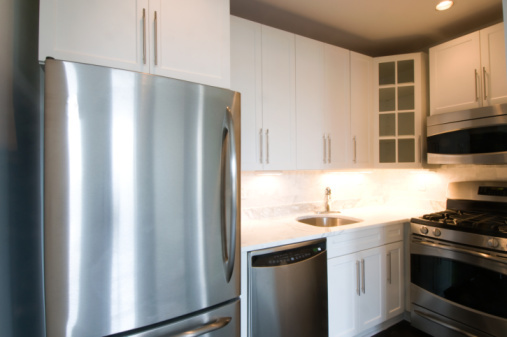 Where you store the freezer, how it is placed in the storage space and how you prepare it prior to storage will determine whether or not damage occurs. Before you leave your freezer in storage, take a few precautions to keep it in good condition. Defrost the freezer and make sure that all water is drained. Wipe down the inside of the freezer with soap and water and dry thoroughly. Place a box of baking soda inside to mitigate sour odors that can accumulate. Leave the door cracked to allow ventilation. 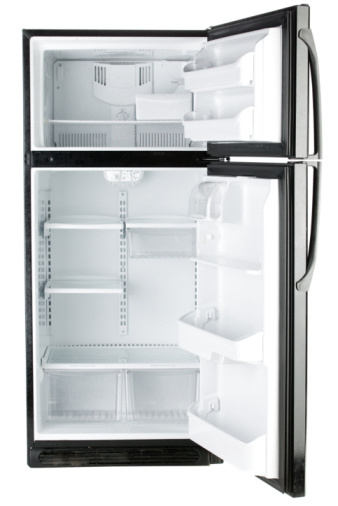 Store your freezer in a clean, dry, well-ventilated area that is free of pests. Petersen says that mice can chew wires and water can cause rust. Place mice traps or poison around the area where the freezer is stored in order to deter rodents. Don't let dust accumulate on the coils of the freezer; vacuum them occasionally to avoid build-up that can damage the unit. Upright freezers should be stored in the upright position. Take precautions if there are small children in your home. To store an upright freezer, place it with its door to a wall, allowing a few inches clearance. Place a folded cloth or sponge in the door to keep it propped open. This allows ventilation without the possibility that a child could climb inside. To store a chest freezer, place it in a locked room, or remove the door. If your chest freezer was manufactured prior to 1970 this is particularly important. The Association of Home Appliance Manufacturers states, "many freezers manufactured before 1970 have a hook and latch mechanism that makes it impossible for the lid to open from the inside, therefore presenting a suffocation hazard for children becoming trapped inside." When you are ready to use the freezer again, inspect it closely to make sure that damage didn't occur during storage. If water was present at any time in the storage area, check for rust. Look at the back of the freezer to make sure that wires are intact. If it appears that the freezer may be damaged, have a professional inspect it prior to use. If everything looks fine, vacuum the coils and wipe down the interior with soap and water. Dry thoroughly and plug the freezer into an outlet. Let the freezer run for several hours to reach a low enough temperature to place food inside.